The Piqua Tourism Council, in cooperation with the Local History department of the Piqua Public Library and Mainstreet Piqua have teamed up to offer four different historical walking tours of Piqua to occur this spring and fall. 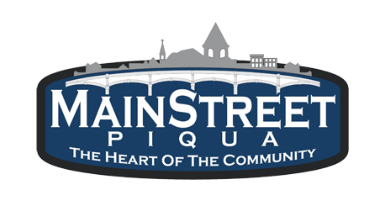 The first tour will be the South Main Street Tour and will be held on Saturday, April 20, beginning at 10:30 in front of the Piqua Milling Building in the 100 block of North Main. South Main began as an early Native American Trail which slowly became a trade route for early pioneer settlers as it paralleled the Great Miami River. Taverns, mills and tanning yards stood next to brick Federal and Greek Revival style homes. By the 20th century, Queen Anne homes were sharing space with neighborhood groceries, bakeries, casket carvers and blanket makers. South Main Street has long been one of the historic main entrances into Piqua. The second tour will be held on Saturday, May 18 and will be begin at Lock Nine Park on East Water Street at 10:30 a.m. The tour will be of East Piqua. This area of Piqua was one of the earliest areas of Piqua to be developed. Job Gard built a log lean-to cabin prior to 1800 making it Piqua’s first European-American home. With the coming of the Miami Canal in 1837, the area grew in size and complexity. Churches and mills were located next to simple brick and frame homes that soon competed with large Federal and Greek Revival style structures. Brick yards became baseball diamonds and mill races became streets. This tour will pass some of Piqua’s earliest homes. The Victory Heights and Clark Avenue Tour will be the third tour in the series and will be held on Saturday, September 21, beginning at 10:30 at the Pitsenbarger Statue off of McKinley Avenue. Victory Heights was a World War II housing complex and Clark Avenue holds many additional homes from that era. From brick bungalows built into the hill to the addition of asbestos and cement shingling (Glatex), the war made a huge impact on Clark Avenue housing. At the bottom of the hill, war industries such as the Wood Shovel & Tool Company and the Meteor Motor Car Company provided full employment to Clark Avenue residents who had just recently been suffering through the Great Depression. The final tour in the series is the Fine Art of Dying IV Tour and will be held on Saturday, October 19, beginning at the State Route 66 entrance into the cemetery. 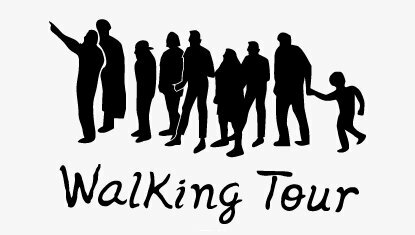 The Tourism Committee walking tours have included the cemetery before but this tour will take in areas not covered before and provide an insight into the burial customs and artistic carvings used in Piqua. The symbols used in the nineteenth and early twentieth centuries such as the lamb, the rose and the urn will be reviewed and explained. The cemetery is a place of traditions and innovations, of massive memorials and small remembrances and examples of old world markers and new world adaptions. Tickets are available for the tours at $5.00 each. 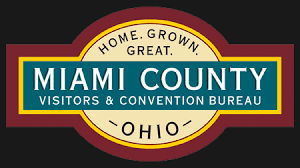 Tickets may be purchased at the Mainstreet Piqua office at 326 North Main. The tours will be led by Piqua historian Jim Oda. This project is sponsored by the Piqua Tourism Council with additional assistance from Mainstreet Piqua and the Piqua Public Library. Call Mainstreet Piqua at 773-9355 for additional information.